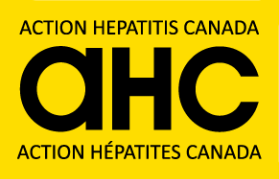 Canada not going to meet 2030 elimination target, MSF secures lower prices for generics, Vermont and NC Medicaid eliminate access restrictions, hepatitis B virus core-related antigen (HBcrAg) levels associated with progression to cirrhosis, and more…….. Patient input requested for BC PharmaCare review of AbbVie’s combo of glecaprevir and pibrentasvir (GP) for Genotypes 1-6. Overview of AASLD 2017, the latest on DAAs and liver tranplant outcomes, and some news on the HBV front: Transgene’s TG1050 and other news……..
HCV and pregnancy, rheumatic disease and HCV, SVR and portal hypertension, steatosis and cannabis, rise in liver cancer rates, HAV epidemic in California, ……..
How HCV hides in the body; a new blood test to find liver cancer; rapid fibrosis in co-infected MSM, inadequate hospice care for people with chronic liver disease, efficacy of Maviret in chronic kidney disease ……..